It’s becoming more and more common for businesses to implement a cloud strategy into their infrastructure. 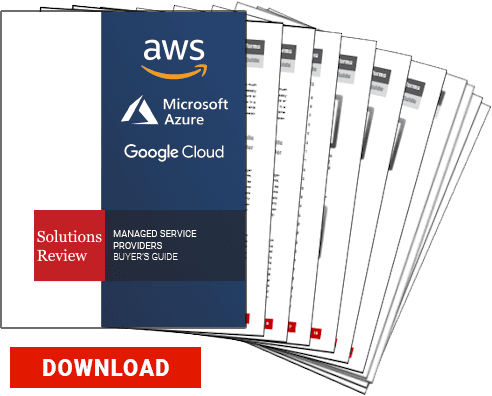 With the number of cloud service providers (CSPs) on the market, migrating your data to the cloud is easier than ever. However, finding the right cloud system can be difficult, and concerns over security, privacy, and storage make it tricky to know which cloud environment is right for you. Rather than switch to a completely cloud-based infrastructure, many companies have decided on a hybrid cloud environment. To clarify, a hybrid cloud is a cloud environment that combines on-premises installations with both private and public cloud services. These installations allow businesses to maintain data on their own private servers while also allowing clients to access publicly-available resources. Hybrid clouds are a relatively recent development, as early cloud environments were focused on complete migration to the cloud. If you’re interested in adopting a cloud-based infrastructure, here are some points on hybrid clouds to consider. Putting your information and data on a network that you don’t yourself control can lead to several security and privacy risks. Cloud servers can handle security threats, but for some companies, the risk just isn’t worth it. With a hybrid environment, you’ll have a part of your network that you maintain control over. You can decide what data remains relegated to your on-premises or private cloud servers and which data is publicly available. With a hybrid cloud solution, it’s easy to separate your information between what you want others to see and what you need to keep to yourselves. It should be noted that private cloud and on-premises environments are not inherently more secure than cloud-only architectures. The biggest benefit of a hybrid cloud solution is that you’ll have more control over who can access your data. Security is still a responsibility for both the cloud provider and the client, no matter what environment you use. One of the problems with using a public cloud server is that you must configure your data to conform with the cloud’s specific structure. This problem technically still exists with a hybrid cloud solution, but outside the public cloud, your configuration . Data management specifications are shared between each part of the environment. This allows companies to unify their data structure across every part of their infrastructure. In order to match the demands of the cloud environments they use, businesses can create a shared configuration that can apply to all of their data. Using a cloud-only server means you’re relying on another company to maintain the servers that a part of your data is on. That means that you may be forced to stick with that vendor exclusively to get the best out of their cloud environment. Hybrid environments help you avoid vendor lock-in by removing complete reliance on public cloud architectures. A hybrid cloud infrastructure means you always have a place to move your data to if you find you can’t keep up with the public cloud requirements.